U.S. foreign policy in Sub-Saharan Africa seeks stability, democracy, and economic development. Despite recent positive trends, it is clear that not all African countries will move in this direction; some will sink into greater violence and misery. In the central part of the continent, Zaire is the linchpin. Because of its great size and natural wealth, Zaire has the ability to serve as either the locomotive of development or an agent of destabilization. If Zaire collapses, the U.S. Army may become involved in a major humanitarian relief operation. On the other hand, if Zaire succeeds at political reform and democratization, the Army may be tasked to reinvigorate military-to-military contacts. 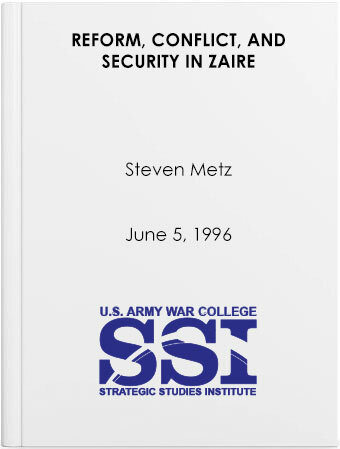 This study is designed to offer Army planners and leaders an understanding of the current crisis in Zaire and provide recommendations on future U.S. policy and Army activities.